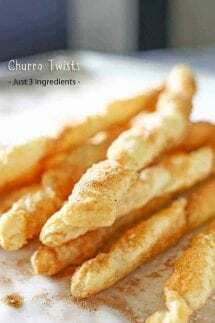 Cinnamon lovers Churro Twists with just three ingredients you can have that wonderful crisp, cinnamon packed flavor in about 15 minutes. Hi Everyone! 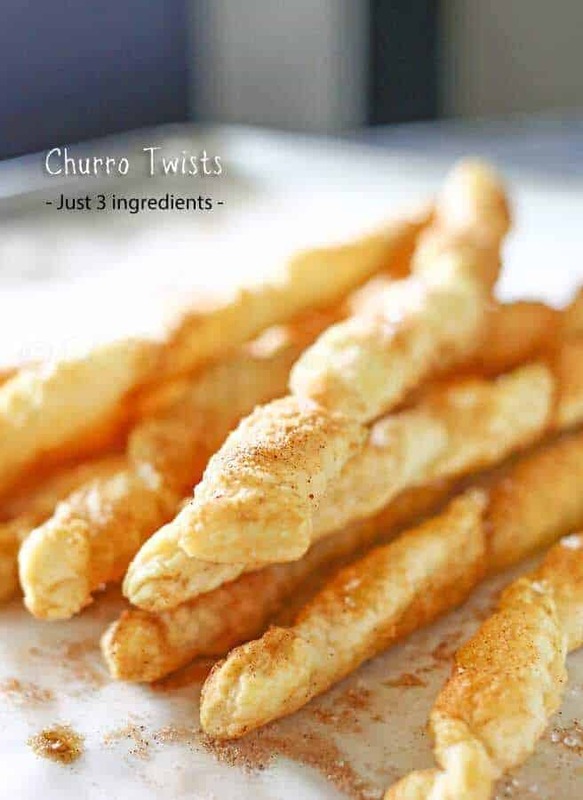 It’s Gina from Kleinworth & Co. & I’m back today to share a simple little treat for all you cinnamon lovers out there, Churro Twists. Regular churros are incredibly tasty. I love them so much. 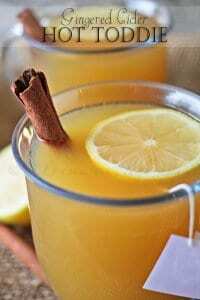 But making them, while not too terribly difficult, can take more time than my schedule allows at times. But I still would love the taste of a good churro. So I came up with a simple solution by utilizing puff pastry & the cinnamon/sugar mix I always have on hand. 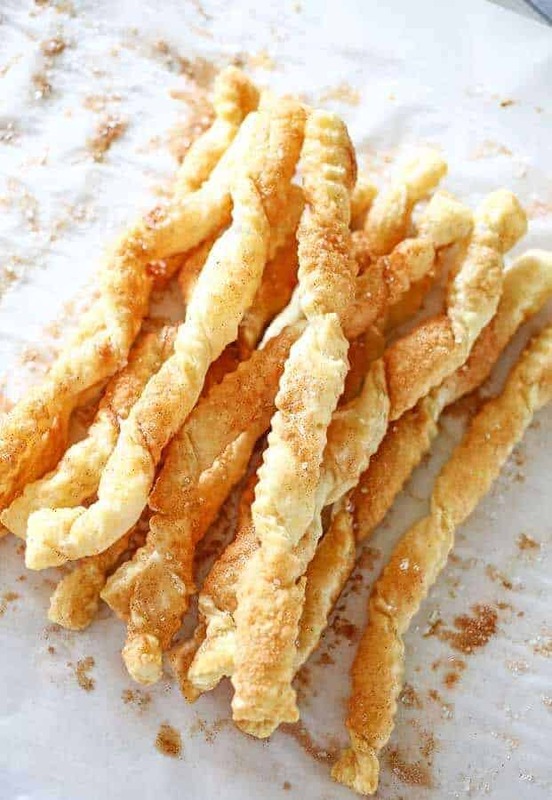 You see, with just a handful of ingredients I can have that wonderful crisp, cinnamon packed flavor I love about churros in about 15 minutes. Which is great because time is scarce these days. I know you are all crazy busy too & yet we all still have to eat. So coming up with easy solutions to get me in & out of the kitchen quick is always my mission. 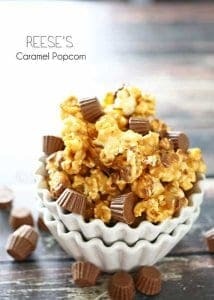 So I love it when I can create a recipe that fits everything I’m after & saves me time too. 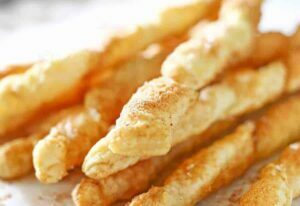 Plus since puff pastry is baked & not fried like regular churros, they may be ever so slightly better for me too. I can’t go as far as calling it healthier, because really, puff pastry is basically layers of dough with layers of butter. That’s why it’s so delicious, but definitely better than frying. 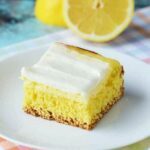 These are such a nice little dessert either alone or with a scoop of vanilla ice cream. 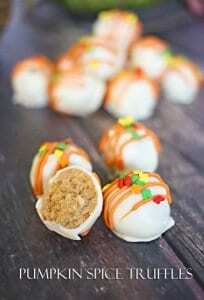 Definitely a great fall treat for those that love cinnamon like our family does. 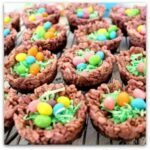 Wanting more great easy recipes for fall? Thanks so much for visiting with me today! It’s been a pleasure!